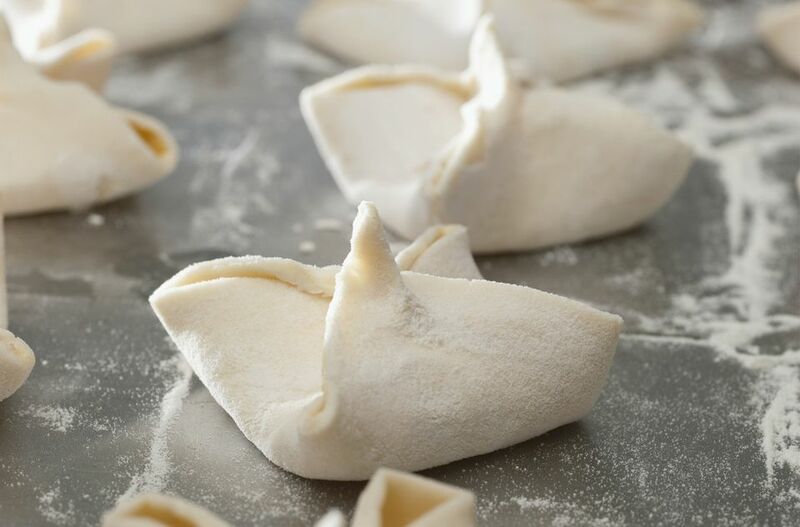 This kołaczki dough recipe is made with only three ingredients—sour cream, butter, and flour. There are no eggs in the dough and it produces a flaky cookie that can be filled with your favorite filling. In a large bowl, cut butter into flour as for pie dough until it resembles small peas. Stir in sour cream, mixing well. Heat oven to 350 F. Divide dough in half, wrap in plastic and refrigerate for 3 hours. Take one piece of dough out at a time. Roll on a lightly floured surface to 1/8-inch thickness. Cut with a large round cookie cutter or coffee cup. Fill center with 2 teaspoons filling. Bring up all four sides and pinch to close. Repeat with remaining dough and filling. Bake 12 to 15 minutes or until the bottom of cookie is just beginning to brown. Remove from pan with a metal spatula and cool on wire racks. Store in an airtight container. Dust with confectioners' sugar when ready to serve not before because it will make the cookie soggy.